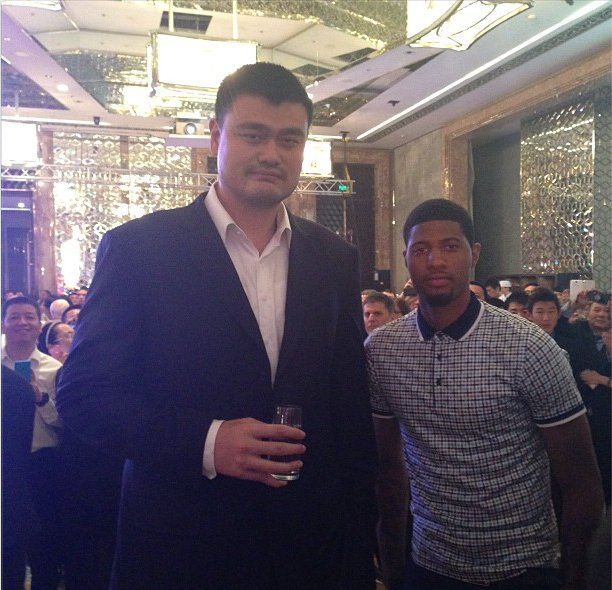 Look how small Yao Ming’s drink looks. For all we know, that could be a pitcher of vodka he’s chugging down. Paul George, with his outfit, looks like he’s ready to golf. Unfortunately for Yao, I’m not sure there are any golf clubs, golf carts, or golf courses big enough for him. I wonder what Yao weighs.